►Low-loss SAW component，a complete SAW filter module for Inmarsat applications. ►Low amplitude ripple， very low 1dB nominal noise figure, better amplification, customized center frequency. ►Sharp rejections at both out-bands, Female SMA connectors on input and output for easy connectivity. 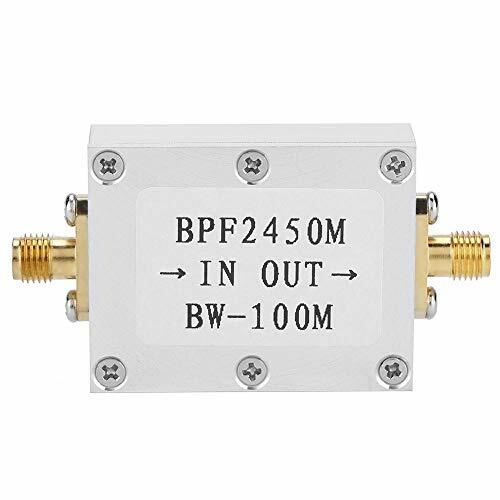 ►Usable pass-band 100.0 MHz, 2450MHz Bandpass Filter Anti-jamming Narrowband. ►Ceramic package for surface mounted technology (SMT), Its neat layout is designed strictly in reference to filter circuit.